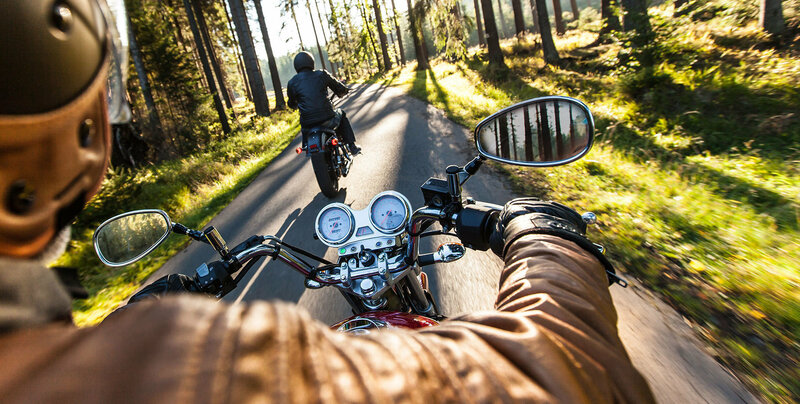 Motorcycle culture has long been fueled by the stereotypical bad-to-the-bone rebel rider. But that doesn’t mean that the love of the ride hasn’t spread like wildfire to those who may seem like the most unlikely riders. But with money at their fingertips, it’s no surprise that the rich and famous have taken up the motorcycling trend. Here are six famous people you may never have expected to ride or own a motorcycle (but do both proudly). little room for some wildness every now and then. And though when it comes to the royal family there are a number of rules to follow, thankfully, motorcycle riding isn’t prohibited. Prince William has owned a number of bikes himself over the last several years (think Ducati and Triumph Daytona) and enjoys life on the wilder side every now and then. Can’t picture it? Check out this article (with Instagram photos) of the prince test riding some bikes in his typical prince-like fashion. Ryan Reynolds may look like the fresh-faced, Sexiest Man Alive (2010), but the guy owns (and loves) his Ducati Paul Smart 1000 sports bike and Retro Triumph Motorcycle. Don’t believe us that the guy can (and does) ride? 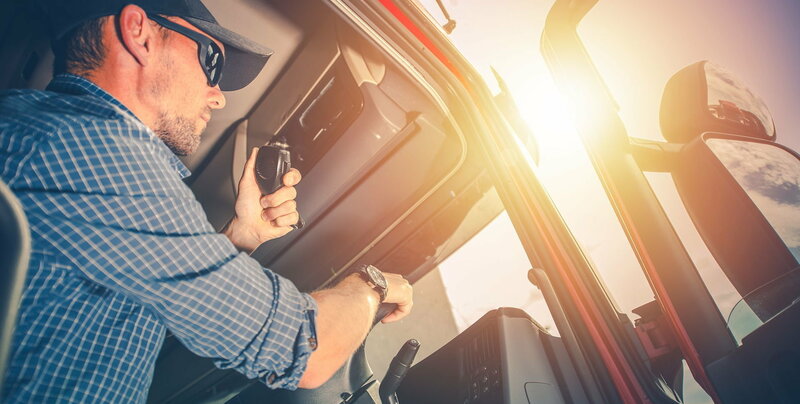 Check out this Public Service Announcement that draws on Ryan Reynolds’ riding passion in an effort to draw attention to motorcyclist safety. 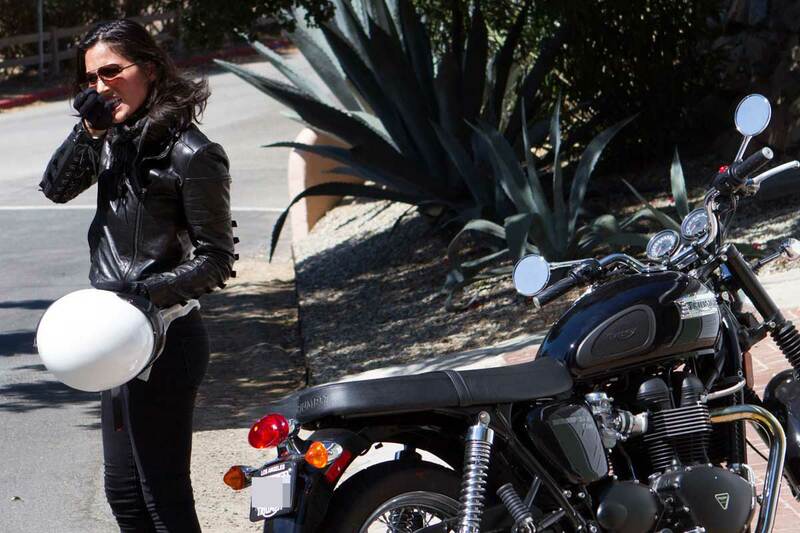 Olivia Munn isn’t just an actress and model; she’s also a rising biker—though she’s admittedly still getting the hang of her bike and the ride. A bit of an accidental biker after her ex-boyfriend left her with the bike she bought him, she’s been riding around her neighborhood and Malibu on a too-big-but-way-cool BMW R1200R. Jay Leno has shared his love for autos on Jay Leno’s Garage. But cool and vintage cars aside, he’s also become known for his massive motorcycle collection. He’s a proud owner of classics like the 1933 Indian Four, 1946 Harley Davidson WR and even a Phantom. His motorcycle passion began after purchasing his first 350cc Honda for “cheap transportation” as a student. And he hasn’t looked back since. 1918 Pope. 1922 Megola. Nimbus. Whizzer. Rudge. You name it and the guy probably has it. Oh, and did we mention his 375-horsepower Y2K bike? Yeah, it’s been clocked at 237 mph. The lanky actor of The Pianist has a little-known passion. Motorcycling. Though we should’ve picked up on this after seeing him riding like a pro in “The Darjeeling Limited.” Brody has owned everything from Hondas, Ninja ZX900s and CBs and is now the happy owner of a customized Yamaha R1 with a 1,855cc engine. Who would’ve thought? Tom Cruise is an avid biker. This might not come as much of a surprise considering that Cruise insists on doing a majority of his own stunts and has ridden a number of motorcycles on film. And while he may have a collection of vintage bikes, he really loves his Vyrus 987 C3 4V (which happens to retail at $103,769). As one of the world’s most powerful bikes, and having a claim-to-fame of speeds up to 337 kmph, it’s a bike we’d all love to take for a ride. The love and freedom of the ride can strike a chord in the most unlikely places. This just goes to show you should never judge a motorcyclist by his (or her) leathers (or lack of them). 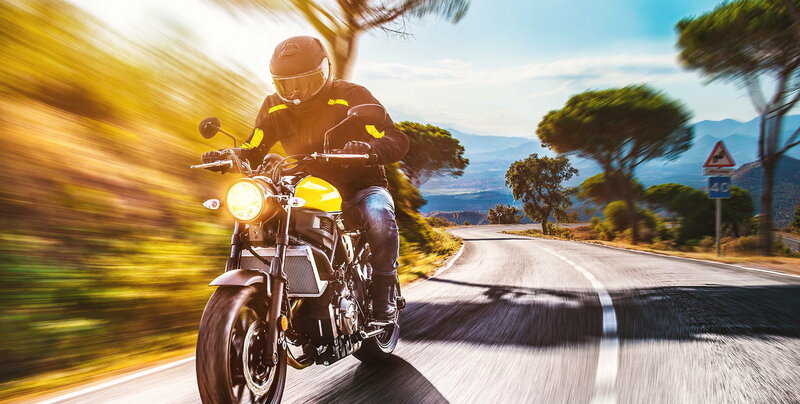 Who tops your list as the truly least likely motorcycle rider?